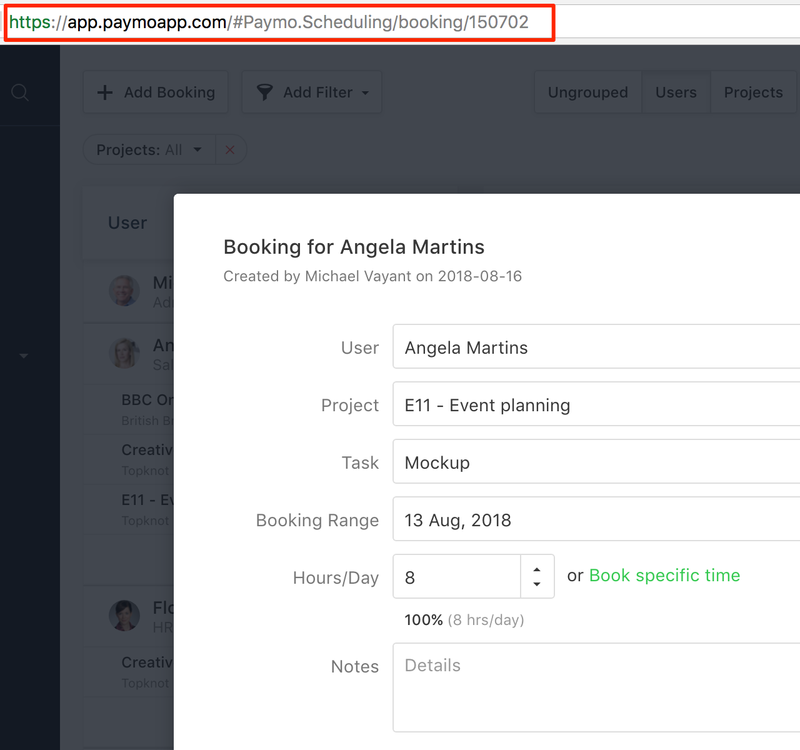 What are team scheduling bookings and how to use the resource scheduler. 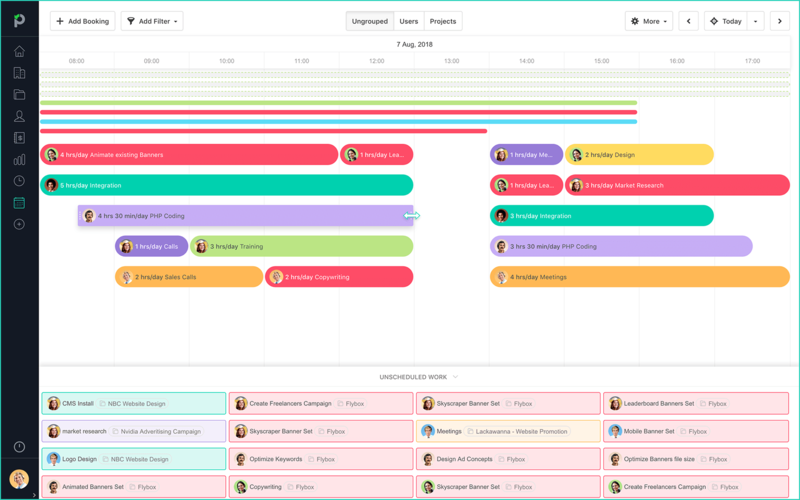 When going to the Team Scheduling area you will notice a calendar view for your team and project. There you're able to view and add new bookings. A booking is a specific time when the user should be working on an assigned task. This helps your team focus on specific tasks and know how much time they should spend on them. For project managers and admins it also means they can follow how busy their team is, if they're getting too crowded or if they can still be assigned more work or not. Bookings can be viewed or created by Users, Projects or Ungrouped depending on the view you're in. 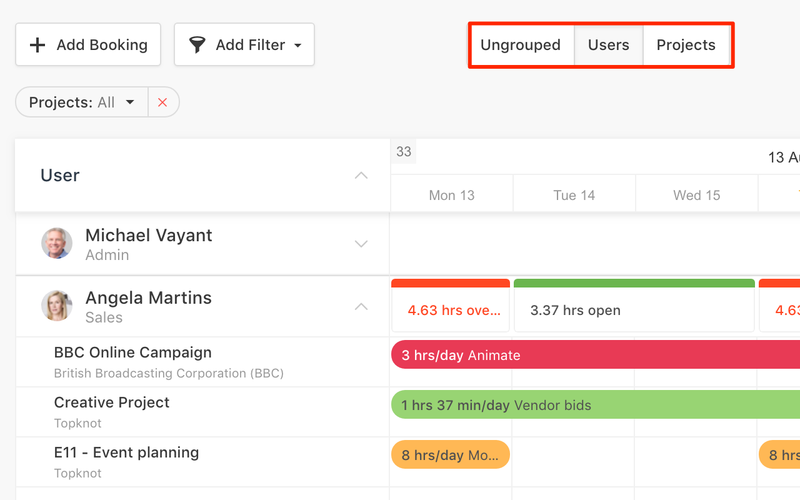 By using Ungrouped you will see your schedule as a timeline, no longer sorted by projects or users. Each booking has its own unique booking ID which you can share with other users. You can find it in your browser's address bar once a booking is open.